On 01/26/2019, Troop D Troopers and the Killingly Police responded to an address on Williams Street in Danielson for a call for service. 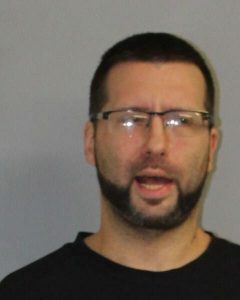 During the investigation, police discovered that the resident of the home, 36 year old Timothy St Jean, held five active warrants for Failure to Appear in the Second Degree. St Jean was arrested and transported to Troop D and held on a combined bond of $45,000 cash/surety and appeared in Danielson Superior Court on 01/28/2019.